The Grifo; what do you do if you're Italian and want to build a supercar but don't have the cashola to develop your own engine. It's exactly what engineer Giotto Bizzarrini proposed and paired Detroit iron with Italian design - Ingenuity, European style. You may have never heard of the Iso Grifo or Giotto Bizzarrini for that matter but as a designer/engineer he was a heavy hitter in the 60's and was largely responsible for perhaps the most famous car of all, the Ferrari 250 GTO. What's so special about the Grifo? 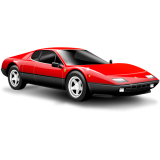 Well, there are some cars which have that certain something, cars which when mentioned put an enthusiast into overdrive; The 66 Shelby GT350 Mustang Fastback, the Ferrari 365 GTB Daytona and the Lamborghini Countach. Who didn't have a Countach poster on their wall as a kid? The Grifo is such a car, a machine that stirs the emotions and evokes visions of driving in exotic locations like Italy's Amalfi Coast. Just to put it into perspective, when the series I Grifo GL rolled off the line in 1965 it packed a 327 cubic inch (5.4 litre) small block Chevrolet Corvette V8 motor, punching out 400hp (300kW) with a quoted kerb weight of around 2,200lbs (1000kg). The Grifo GL topped out at 171mph (275km/h). That is serious speed, even now. Styled by Giorgetto Giugiaro of Bertone design studio, the original Grifo GL has been described as one of the most elegant GT super cars ever produced. As with all things Italian, the Grifo's life story was a complex one, made more so by the clashing egos of the men responsible for their production. Bizzarini had originally designed the mechanicals of the Grifo for Renzo Rivolta. Rivolta had visions of heralding another great Italian marque, wanting to compete directly with Ferrari and Lamborghini road cars. Bizzarini had racing in his veins and saw an opportunity to produce two versions of the Grifo; the race inspired Corsa (Grifo A3/C) and the Lusso Grand Tourer (Grifo GL). The Grifo Corsa was to be a Super GTO, an evolution of the Ferrari 250 GTO. This caused tension between the two as Rivolta was not interested in racing. The end result was two distinct versions of the car which were manufactured at different locations. As for the Grifo A3/C, its styling was markedly different than the Grifo GL, from the exterior at least it was hard to believe they shared the same platform. 22 Grifo A3/C were produced when finally Rivolta and Bizzarrini parted ways and the Grifo A3/C became the Bizzarrini 5300 Corsa. Now if you didn't find that confusing, you're most likely Italian. As for Rovoltas Iso Grifo GL road car dream marque, well it didn't quite pan out that way. Part of the reason for the eventual Iso brand downfall was that they weren't considered exotic enough. The rich elite who were supposed to put their hard earned down for a truly exclusive car couldn't get passed what they considered mundane American running gear. It's a real shame as the Grifo GL's American drive train is what made it special. It was superior to what Ferrari and Lamborghini were doing at the time, as was reported by the lucky few which got to drive one. Hardly any road cars in the mid 60's were capable of pulling 60mph in first gear and onto a top speed of 186mph+ in final version - all without fuss. Grifo's weren't temperamental, didn't overheat, they were robust, spare parts were readily available and they did not require the ministrations of a 12 fingered Italian Ingegnere (engineer) to maintain them. All this, encased in drop dead gorgeous hand built Italian aluminium coachwork. Don't forget the sound, the full song of a 7.0 litre V8. Iso Grifo GL production began in 1965 with the series I, initially using the small block Chevrolet V8 and a 4 speed manual transmission, 1968 saw the introduction of the monster, 7 litri (litre) Chevrolet L71 Tri-Power V8. Due to the sheer physical size of the 7 litre unit, several significant engineering changes were made to accommodate it. The chassis was reinforced, as were the engine mounts, a large scoop, known as the Penthouse was fitted because the L71's triple carburetor induction stack stood proud of the hood. The enormous scoop may have changed the purity of its lines but it definitely added menace to what was already an imposing vehicle. The 7 litri was conservatively rated at 435hp (324kW) so as not to cause a power scare. The reality was somewhere north of 500hp (373kW) - remember this is 1968! 1970 saw the launch of the series II Iso Grifo, with refined styling, most noticeably to the nose and the fitting of hideaway headlights, evidently to improve aerodynamics. It didn't hurt that it emphasised this was an Italian thoroughbred. The series II continued unchanged until 1972 where the motive power switched from Chev to Ford, using a Boss 351, 5.8 litre V8 rated at around 383hp. The Ford equipped Grifo can be recognised by the hood scoop which was taller again than that of the 7 litri. The switch in drivetrain was partly due to the oil crisis in the early seventies. Gas guzzlers were on notice and this effected all car makers, including exotics. The last Iso Grifo left the factory in 1974, when its doors closed due to bankruptcy. 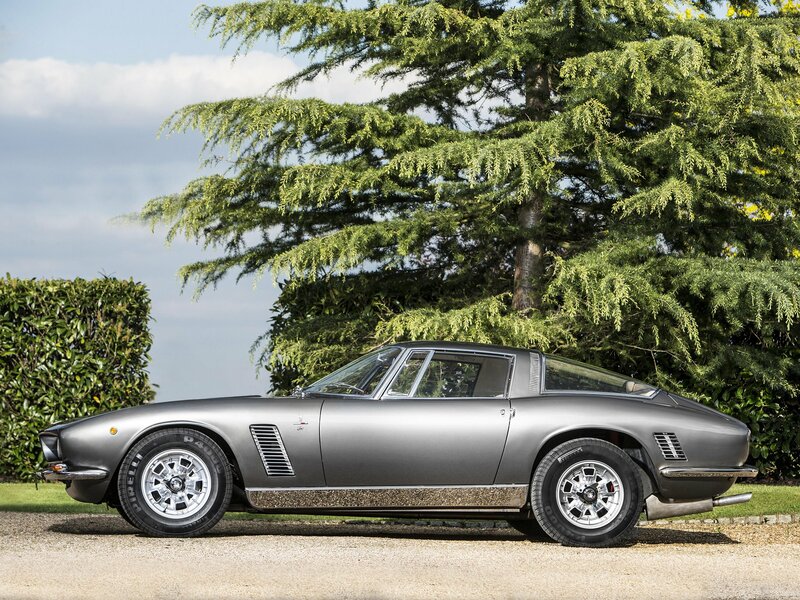 In total only 413 Iso Grifo GL's were produced, 322 Series I and 78 Series II. 90 Grifo's in total were fitted with the 7 litri. The most desirable of the Grifo are the Series II fitted with the 5 speed transmission and only 23 units produced. Rarer still are the open top Targa with just 13 series I and 4 series II commissioned. The craziest thing about these rare exotics is that up to a few years ago they were relatively affordable. No one paid much attention to the Italian/American half breed, its lineage wasn't pure enough for the aficionado and this was reflected in the prices they sold for. In 2010 you could get a half reasonable Grifo Series I for less than $70K AUD. Today you'd be hard pushed to see one go for less than half a million. I've been lucky enough to see one in the flesh and I can tell you they absolutely deserve their new found appreciation. Italian Passion and American Muscle rocks. Thursday, 01 March 2018 Jaguar XJ13: the cat has claws. Monday, 09 October 2017 1962 Ferrari 250 GTE: A sweet ride. Saturday, 15 July 2017 Adelaide proud: Willall Racing's insane 1000hp wide-body WRX takes on the world. Jaguar XJ13: the cat has claws. 1962 Ferrari 250 GTE: A sweet ride. 1986 Giocattolo Group B: Italian with an Aussie twist.